Why do we never sing “De Spiritu Sancto” (St. Athenogenes) in our churches? There are a dozen translations in English verse. Where could anyone find a better evening hymn than this, coming right down from the catacombs? Our hymnbooks know nothing of such a treasure as this, and give us pages of poor sentiment in doggerel lines by some tenth-rate modern versifier. HAVE OCCASIONALLY had conversations with people who are choosing not to raise their children in any particular faith. This they perceive to be some sort of noble action, respecting and cultivating the future freedom of their children. The practical result, though, is that most of these children will never embrace any faith. As a priest, I see firsthand the need for children to be raised in the faith. The Church perceives this to be so great a need that parents require assistance with the task; for this reason, we have the tradition of choosing godparents at Baptism. I recently discovered a medical doctor who agrees that faith needs to be inculcated in children from birth. This doctor, Meg Meeker, M.D., has a great deal of experience as a pediatrician and as a counselor, so she approaches things from the perspectives of both medical science and psychology. Yet another qualification is that she is a wife and mother of four children, herself. 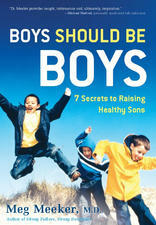 I discovered Dr. Meeker by reading a few chapters out of her 2008 book, Boys Should Be Boys: 7 Secrets to Raising Healthy Sons. In her chapter entitled “The God Factor,” Meeker addresses the problem of parents who do not stress the value of religion. This results in “religious ignorance among too many boys,” she contends. While young men earnestly want answers to life’s biggest questions, parents too often feel uncomfortable or too unprepared to provide them. On top of this, many of the same parents refuse to take their sons to church, where they might find the answers they seek. As a doctor, my own clinical experience confirms what all the research tells us: that religion is good for boys. And I think too many parents have been mislead about what their responsibilities are in this regard. We baby boomers who have read reams of child care books and psychology books replete with tips on how not to stifle our child’s self-esteem and unique personality have faded quietly into the background of our kids’ spiritual lives. We so eagerly don’t want our children to be pushed by us in any direction educationally, psychologically, and spiritually that we hold back when we should lead. 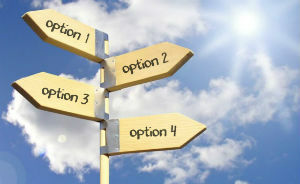 Many parents tell me that they want their kids to grow up to make their own decisions about God. They want their boys to make their own choices about which, if any, religion they want to believe. This is, in a way, noble. Our job as parents should be to educate and stimulate our boys to read and think on their own. But the fatal flaw is that boys can’t choose from an empty menu. Asking a child to choose his own faith is like flying him to Prague, taking him to the center of the city, and asking him to pick out where to stay and what to do. He doesn’t have a clue, because he doesn’t know what his options are. He has never been there before, and the city is expansive and overwhelming. Dr. Meeker makes a compelling argument that leaving faith up to an adolescent’s discretion is a form of parental indiscretion. It strikes me that much the same thing is true in the world of sacred music. We live in an age when the GIRM gives us the freedom to choose what can be sung at many different times during Mass. The unfortunate truth, though, is that very few parish musicians are equipped to be making such decisions. Like Meeker’s hypothetical child dropped in Prague with no further instructions, a great many parish musicians are volunteers with little liturgical formation and scant familiarity with the options that exist (beginning with the Propers themselves, moving to vernacular settings of the Propers, and devolving eventually to the four-hymn sandwich). The solution to the present state of affairs is twofold. First, parish musicians need to be given better liturgical formation. We must make this an urgent priority. We need more initiatives like the St. Cecilia Academy for Pastoral Musicians. Secondly, the Church needs to exercise her role as Mother. Just as parents must raise their children in the faith, rather than leaving it up to them to decide, so the Church must give clear direction to her children about what should be sung at Mass. The USCCB document Sing to the Lord, which is a vast improvement compared to the documents it replaced, leaves too much room for maintaining the status quo. We need more leadership like the Diocese of Marquette is receiving from Bishop John Doerfler.